You’ve set up your MailChimp account. You’re ready to send emails and attract tons of traffic to your website. But your contact base is empty. Who will you send your emails to? That’s when MailChimp popup forms come into play. With a 5.7% subscription rate (that’s our internal average), they’re the most powerful way to capture emails and turn your visitors into subscribers. Let’s see how you can make the most of them. Before trying to capture more contacts, it’s important to set your strategy first. As with emails, there’s no one-size-fits-all strategy possible. 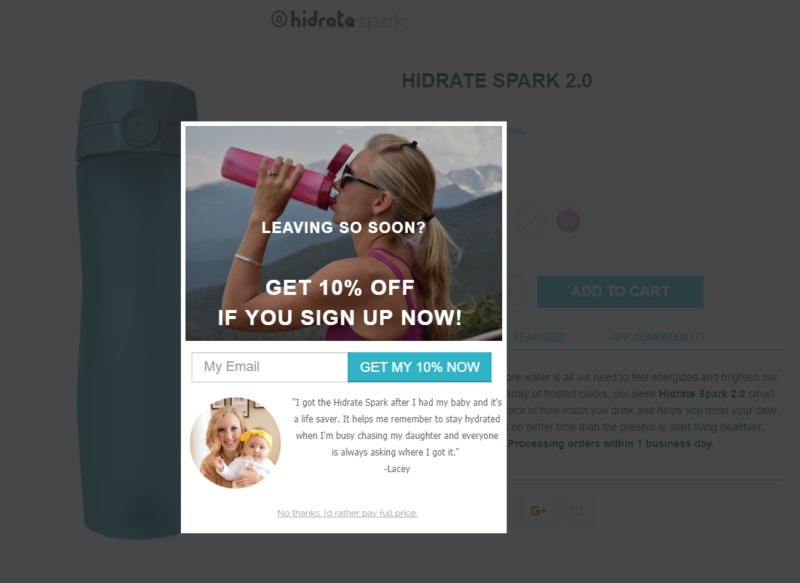 You need to tailor your MailChimp popups to your audience. Their country? If you’re working for an international ecommerce website, you might want to segment by country. Their language? Most of the time, you need to adapt to the local language. Their gender? If you’re selling shoes or clothes, it would make a lot of sense to segment by gender. 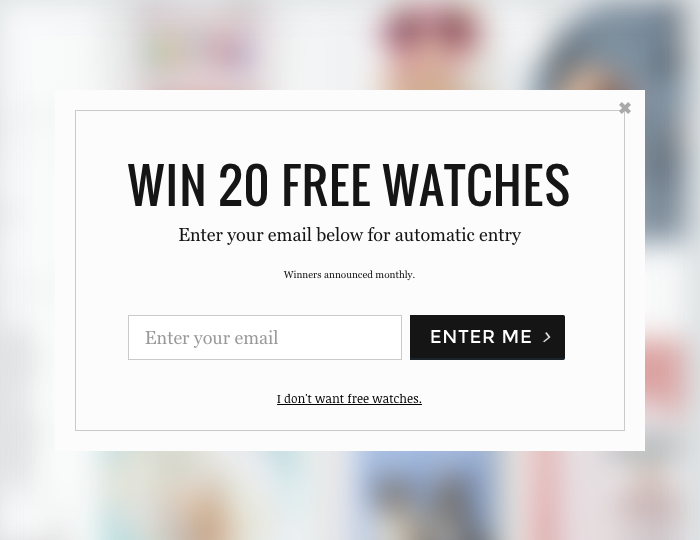 To convince your users to fill in your popup form, you’ll have to find a convincing offer. Coupons are still one of the best ways to seduce a customer. According to a RetailMeNot survey, 96% of Americans use them. Free shipping offers can be very convincing as well. Actually, 9 out of 10 consumers say it’s the most convincing incentive to shop more online. See this example below? 13.4% of the users who saw it entered their email to participate in the giveaway. Sometimes the best reward is knowledge in the form of a PDF or a spreadsheet which will save you time or teach you something. That’s what the famous paleo cook Michelle Tam does on her website. MailChimp makes it very easy to send a welcome email containing that kind of freebie. In other words, it’s easy to implement and given the results, it’s worth trying this kind of offer. Sometimes, it’s best to keep it simple. To turn a visitor into a MailChimp subscriber can be as easy as describing the content of your future newsletters. Whatever the offer you picked, it’s important to tailor it to your different segments (remember step 1?). Let’s say you’re an online marketing agency and decided to go for a white-book. You’ll need to prepare different white-books for your different solutions. For example, to convince visitors interested in your SEO services, you could offer a white-book dedicated to the latest SEO trends. Start by picking the right headline. It will be key to getting your visitor’s attention. 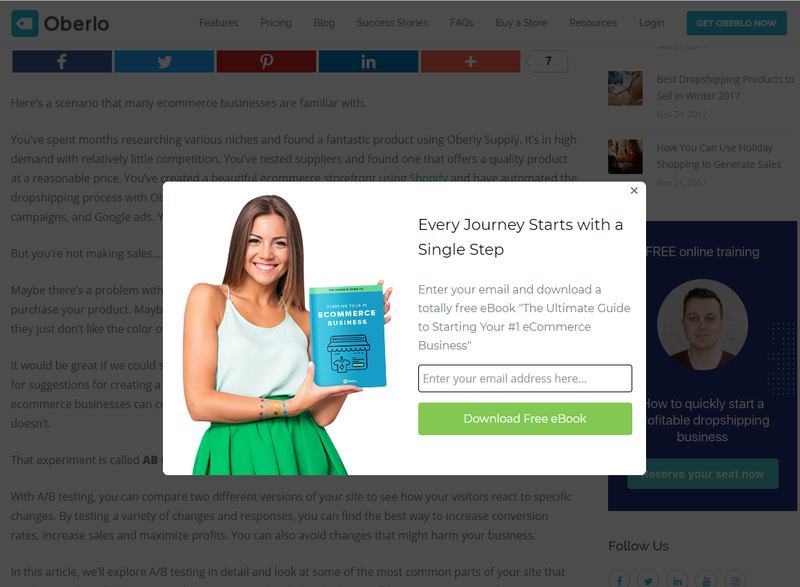 You can also draw inspiration from the 6 popup headline formulas we shared earlier. 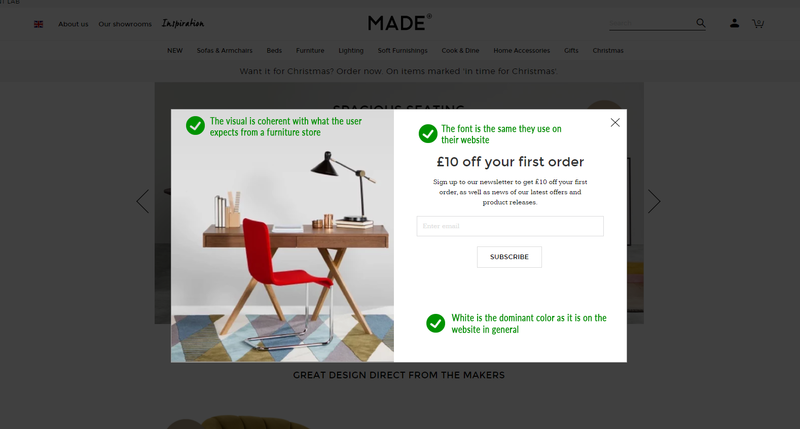 If you want to take it further, you can read our 8 tips to write popup copy that convert. Prepare two designs, one for mobile and the second for tablets and desktops. It will display better on each type of device and will prevent an SEO penalty. Work on a design that matches your website style and your brand. The visitor must feel like the popup is part of the navigation experience. 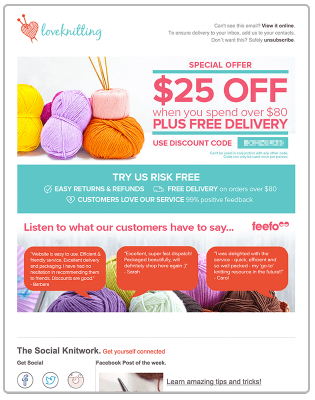 You can draw some inspiration from your MailChimp email templates: what colors do you use in your newsletters? What kind of visuals? Call-to-actions? Can you reuse some of these elements? A modal without visuals is like an email without pictures… It’s boring! Plus, they’ll help get your visitors’ attention. See how Oberlo illustrates their popup and how it contributes to helping focus on their message? I’ve got good news for you: you’re getting close to the final step of this guide! Let’s prepare your targeting. 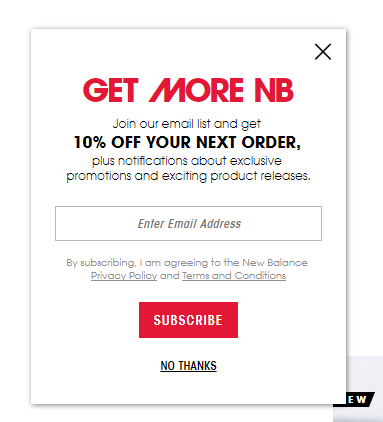 As for newsletters, popups require some targeting: you don’t want everyone to see your popup on every page of your website. There’s no universal rule for triggers. The results you’ll see will depend a lot on your type of business. To make sure you pick the right option, we recommend you AB test the different triggers. 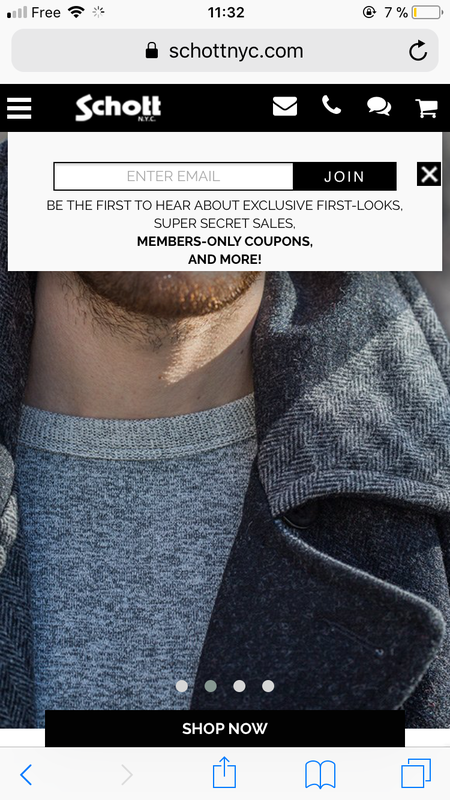 Once you’ve chosen a trigger, you can select who should see your popup. Remember when we discussed your segments at the first step? Well, let’s use them now. Geo-location: if you’re an international business and want to target users from a specific country or region, etc. Let’s get back to the online marketing agency example. They could choose to display the White-paper download popup form on the pages related to SEO to the visitors located in their geographical area and on exit to catch them just before they leave. You’ve built your list-building machine. Now we need to configure MailChimp properly so you can make the most of these new subscribers and adapt the emails they’ll receive to the segment they belong to. Lists: MailChimp lists are the highest level of segmentation available in MailChimp. Usually they group contacts from the same country, or those interested in the same product, etc. A given email can be only sent to a given list or a subset of a list. Other segmentation options: You’ll find tons of other segmentation options. In general, we recommend keeping things simple and starting with a unique list that you later segment using groups or field values. Once you’ve chosen a structure for your account, it’s time to prepare the automations. 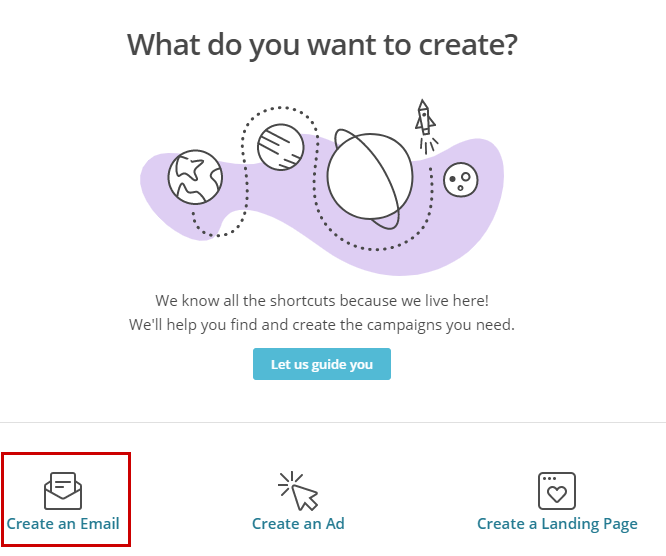 By default, MailChimp offers a welcome email option. Once activated, this option will trigger an email for any new subscriber you get, whether it comes from a signup form or an opt-in popup. 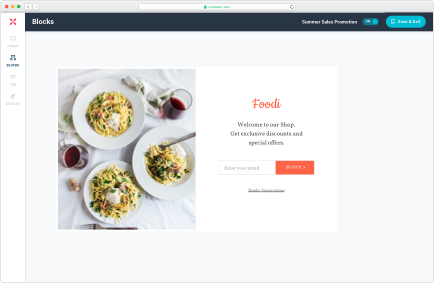 Drive your visitors back to your store: to do so, it can be as simple as adding links to your main website categories. Or featuring your best sellers. But this default welcome email might not be adapted if you have different segments of subscribers and need a different welcome email for each. Let’s get back to the online marketing agency example. They provide SEO services, paid advertising services and conversion optimization consulting services. They have created 3 groups in MailChimp inside the main list called ‘Newsletter subscriber’. For each group, they want to send a unique welcome email containing specific information connected to the group’s interests. The default welcome email won’t work. If you’re in the same situation, you’ll need to deactivate the default welcome email and create a specific welcome email for each group. 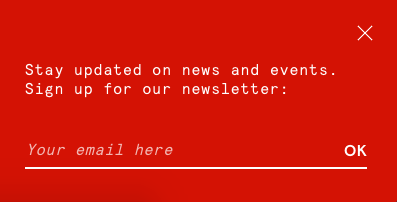 8/ Design your welcome email. You could also prepare a welcome sequence containing a series of emails. MailChimp can send you a notification each time someone subscribes to your list. 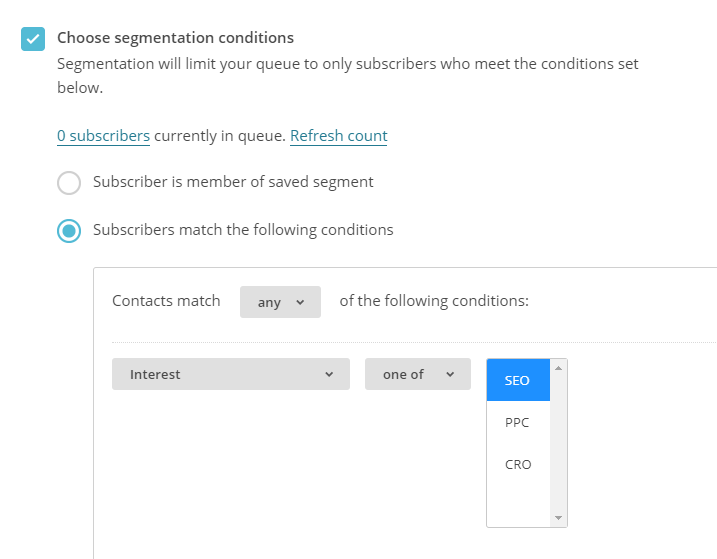 This is especially useful when you prefer sending a manual email to new subscribers or simply if you want to keep track of your subscriber base growth. MailChimp default popup forms are quite limited. 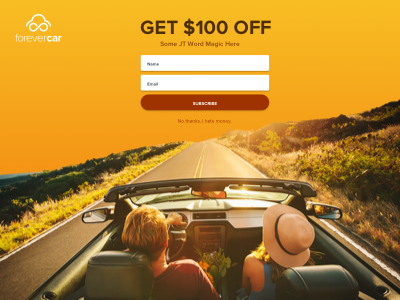 Easily design unique and beautiful pop-ups which match your brand identity.